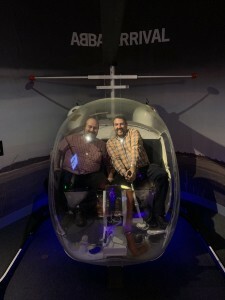 I had a foreshortened week in London last week — I was only here for four days (but still managed to see five shows), then went to Stockholm for three. In London, I managed to see all three shows that opened on the same night on Tuesday — as I explained here, I did so by going in early (by invitation) to two of them, The Twilight Zone (reviewed here) and Admissions (reviewed here) and the third, Blood Knot, on its actual opening night (reviewed here). 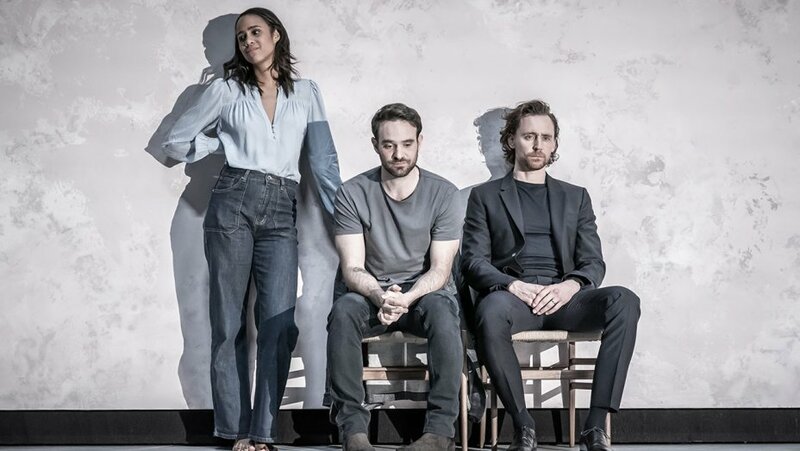 Then on Wednesday, there was an unusual press night the old-fashioned way: all the critics came en masse to Betrayal on the same night, which I reviewed here, posted about 80 minutes after the curtain calls). Google showed that I was second to post — after Holly Williams, for iNews; I achieved it partly by living close enough to town that I leapt on the tube straight after and was home in around 20 minutes, but then also by writing fast. On the one hand, there’s an adrenaline-surge to writing in this way; on the other hand, there’s not an awful lot of time for reflection on what you’ve actually seen. You are writing in the red-hot flush of instinct. (And of course, there’s absolutely no chance of measuring yourself against what others have already written, as they’ve yet to write). I also managed two theatre outings purely for pleasure: on Wednesday afternoon, ahead of Betrayal, I travelled to Dartford to catch the regional tour of Calendar Girls – the Musical, as Tim Firth and Gary Barlow’s musical The Girls has now been renamed for touring purposes; and on Thursday, I caught the ENO’s revival of Simon McBurney’s wonderful 2013 production of The Magic Flute at the Coliseum, surely one of the greatest pieces of music theatre ever written. But unlike say, Magic Mike at the Hippodrome, these women aren’t here to ogle bare male flesh of a gym-sculpted variety, but to celebrate the ordinariness of real women’s bodies — and it’s all the more thrilling and moving for it. What a show! The Magic Flute was a different kind of pleasure. I love my trips to ENO — it’s an evening spent in one of the most glorious of ANY theatres in London, hearing some of the world’s most glorious music — but in an evening when I’m not on critical duty. I can just sit back and wallow in pure pleasure. So I did. Then on Friday I travelled to Stockholm in Sweden for the weekend. The main purpose of my trip was to attend Mamma Mia! The Party! 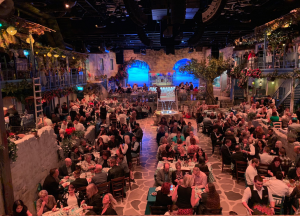 — an immersive dining experience extension of the film that puts partygoers at the centre of the action and songs from Sweden’s most famous-ever pop troupe, that’s coming to the 02 Arena in London in September. During the evening, set in a massive recreation of a Greek taverna (pictured right), you are also served a three-course meal; and at the end of it, the downstairs tables are cleared to make way for a dance floor. It was a work trip — I’ve been commissioned to write a programme note for the production’s transfer — so I’m not going to comment here on the show itself, as that would be a conflict of interest. 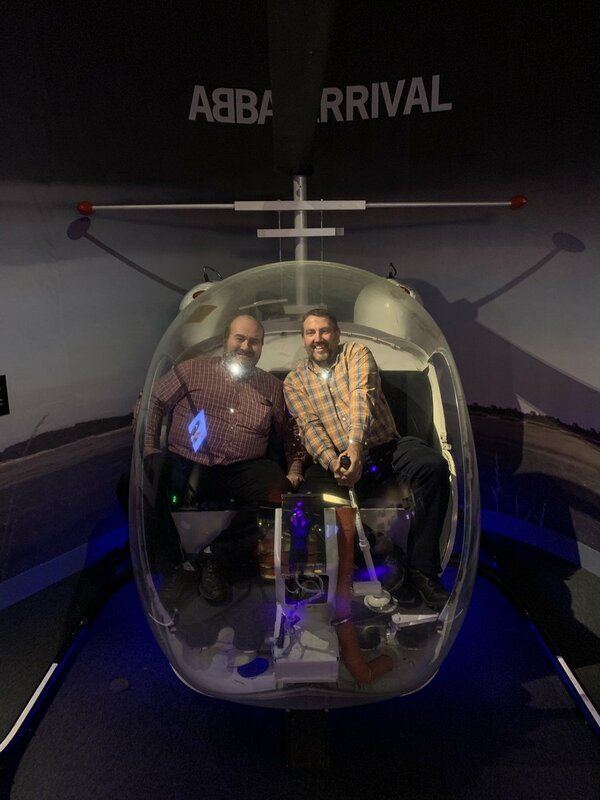 But what was fascinating for me, as I was also a guest of the Pop House Hotel around the corner with its fantastic Abba Museum in the basement (I’m pictured right with my husband recreating the Arrival album cover! 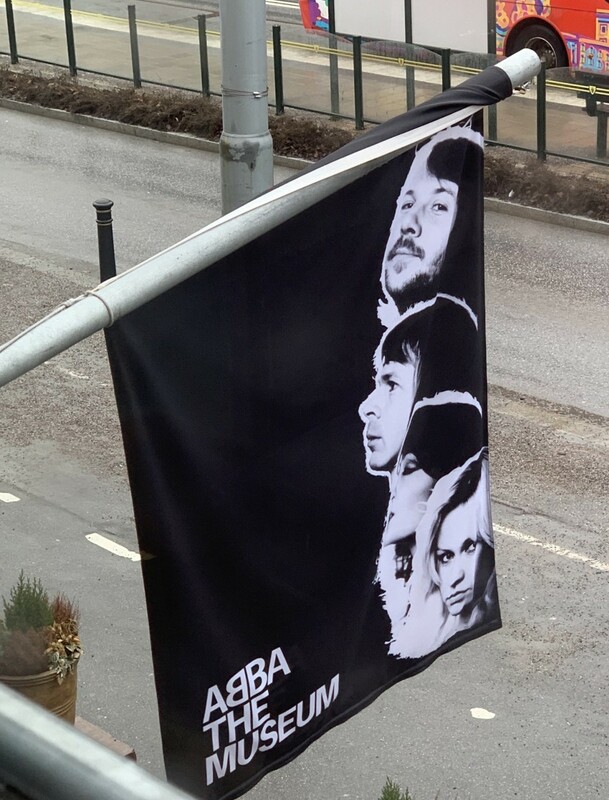 ), is just how much Abba is part of the cultural identity of Sweden nowadays. Fans come here from all over the world. And just as Mamma Mia! is celebrating the 20th year of its West End opening later this year, audiences just can’t get enough of it. The show’s brilliant tag-line — You already know you’re going to love it! — applies here, too. Looking ahead to this week, there are openings every night again — but at least I don’t have to travel too far for three of them, as they at the theatres closest to my home in Southwark. Tonight (Monday), there’s a revival of James Phillips’s 2005 play The Rubenstein Kiss at Southwark Playhouse, a five minute walk down the street; tomorrow, there’s a revival of David Hare’s 1986 play The Bay at Nice at the Menier Chocolate Factory. Then on Wednesday there’s a transfer from Chicago’s Steppenwolf Theatre for Bruce Norris’s Downstate to the National’s Dorfman. Thursday brings a transfer from a theatre on my doorstep — Shakespeare’s Globe — to the West End, in the shape of Morgan Lloyd Malcolm’s Emilia; but I missed it short run at the Globe last summer as I was away in Provincetown, and I’m going to miss Thursday’s opening, too, as I’m heading to Florida that day for a few days. I’ve asked if the theatre will accommodate me on Wednesday afternoon’s matinee; they’ve offered tomorrow or Wednesday night instead. It seems curious that the matinee alone is out of bounds when the performance on either side of it is available.